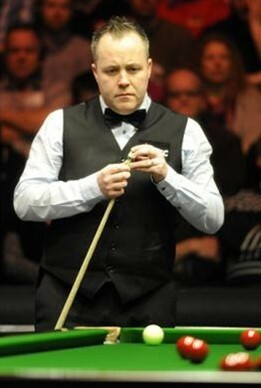 Current World Snooker Champion, Scotland’s John Higgins showed his class in the second round of 2012 World Open snooker tournament and whitewashed England’s Jamie Cope by 5-0 to qualify for the quarter-final stage at the Haikou Stadium arena in Hainan Island. The 26-year-old Cope was hoping to defeat the World Champion after he set up the second round clash against him beating compatriot Martin Gould in the initial round. However, all his hopes of adding one match to his side of odds ended when the Wizard of Wishaw showed his magic with his cue wand. The World Number six did not let the Englishman settle in the match and swept the table in no time to ensure his victory and quarter-final berth. The Scot began the match in a marvellous fashion firing a stunning half-century knock of 50 points followed by two cracking breaks of 73 and 83 to reach 4-0. The fifth frame proved to be the decisive as Higgins pocketed a throttling clearance of 133 points, which is the third highest break of 2012 World Open snooker event, to lock his victory over the English cueman. The former UK Champion, Higgins, has been performing convincingly in the current season and his recent victory is his best shot so far. The Scotsman has now booked his place in the quarter-final competitions where he will be facing England’s Robert Milkins. Milkins reserved his quarter place after he overpowered China’s Jin Long by an easy score line of 5-2 in the second round. Both Higgins and Milkins have played each other before in the opening round of 2011 German Masters where the Scot was victorious by 5-3.